A "try before you buy" option would still be welcome, though. Blade's Shadow game streaming service has expanded beyond its soft launch in California, targeting both the East and West Coasts in preparation for a nationwide launch in October. As of Friday, the Shadow service is being offered in California, Oregon, and Washington, and in 16 states across the East Coast, with the exception of Florida. The Shadow service has also added an additional storage tier, giving users the option of paying $9.99 per month for a terabyte of online game storage, the company said. The expansion comes as Blade's appeal wavers. When Blade's Shadow service launched in January, PC GPU prices were still being inflated by demand from cryptocurrency miners. Blade's service was only a somewhat better option, given that Blade wanted you to pay a year's subscription up-front at $34.95 per month. Now, the company simply offers the service for $34.95 per month without the year-long commitment. Unlike competing services, there aren't any restrictions on play time, either, Blade executives said. But as GPU prices have begun to return to normal, the service has lost some of its value proposition. Blade's argument has been that instead of paying $1,000 or so to build your own gaming PC, you should essentially lease a dedicated "PC" in the cloud on a monthly basis, using Blade's own hardware. 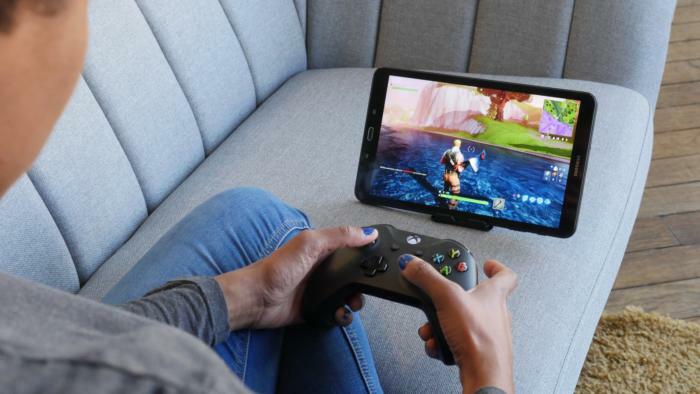 Instead of playing the games locally, on a PC in your house, they stream to you like video, with your controller inputs being passed through the Internet to the cloud PCs. The Blade specs include a dedicated Xeon GPU and Nvidia Quadro P5000. Blade executives say they're committed to regular upgrades. 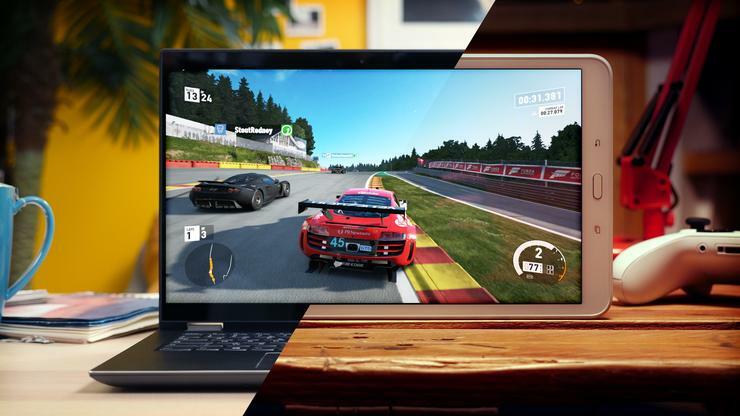 Fancy playing PC games on a tablet? The Shadow Beyond app will allow you to live our your dreams. But as GPU prices drop, there's a window of opportunity to build a gaming PC at a lower cost than there has been in the past. We also noted some rough edges with the Shadow interface, though the underlying service was sound. For those who want to try playing a PC game on their smartphone, Blade has also launched its Shadow Beyond app for iOS and Google Play. The app is currently in beta, the company said. Why this matters: Game streaming has always faced pricing challenges: Is there enough demand to allocate a PC for every user? Is the price affordable, and nearly as cheap as building a PC? Does latency slow down gameplay? Blade's worth watching, and the lack of commitment is certainly more attractive. Still, the company might consider a "try before you buy" offer of at least an hour or two, to give consumers a peek at how it all works.